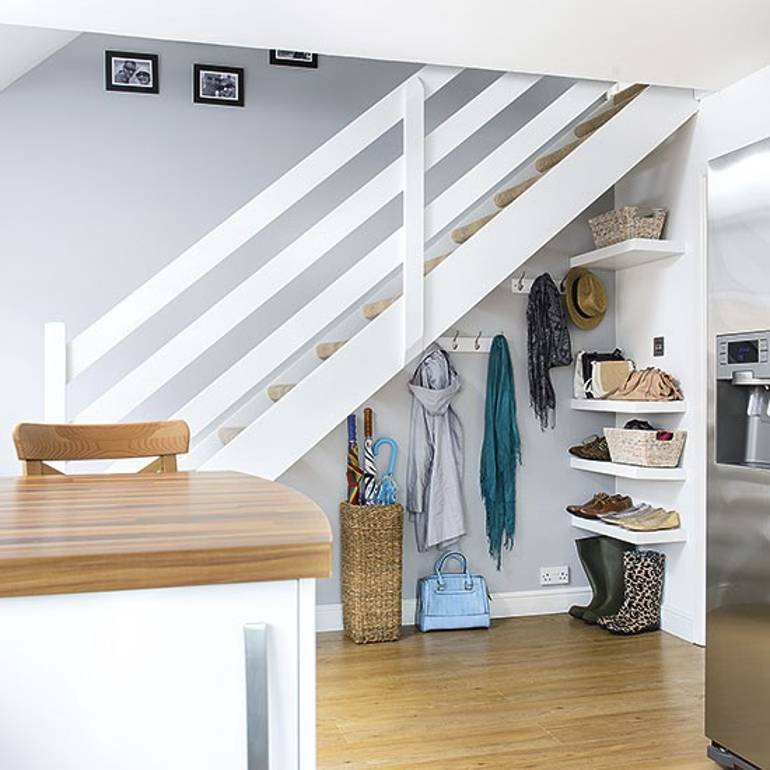 If you’re making some changes to your home, you’ve no doubt looked at ways in which you can improve vital spaces like living areas, bedrooms and your kitchen. 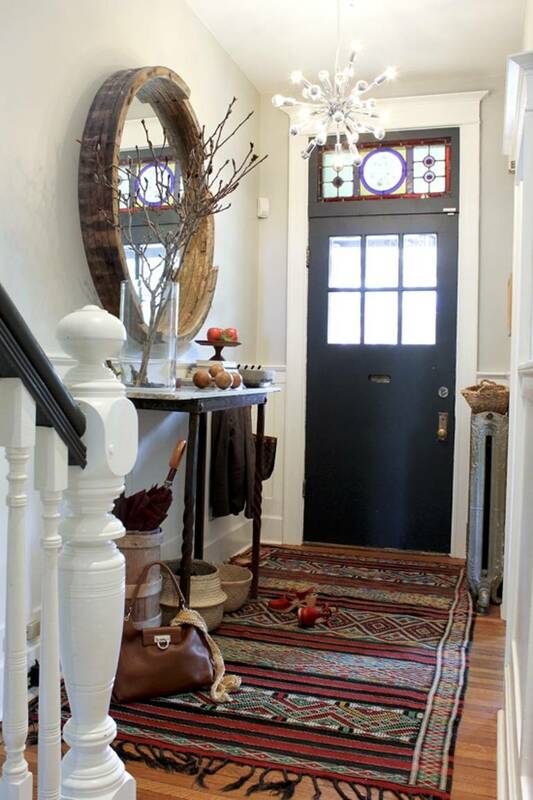 However, if you’re overlooking your home’s entrance hallway, you could really be missing a trick when it comes to injecting some personality into your home and updating it. Anglian Home offers a stylish range of doors and accessories, so we thought that we’d look at ways you can improve the room around it, too! 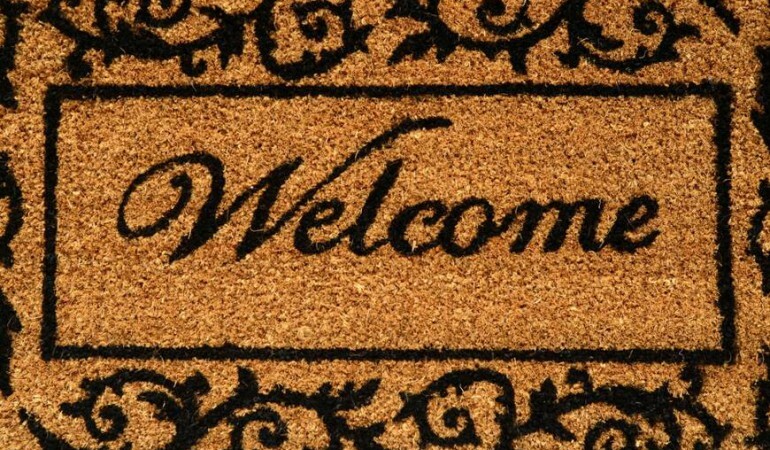 Therefore we’ve put together a list of 10 ways in which you can do this, to make an impact for your guests on your home right from the moment they step through the door. 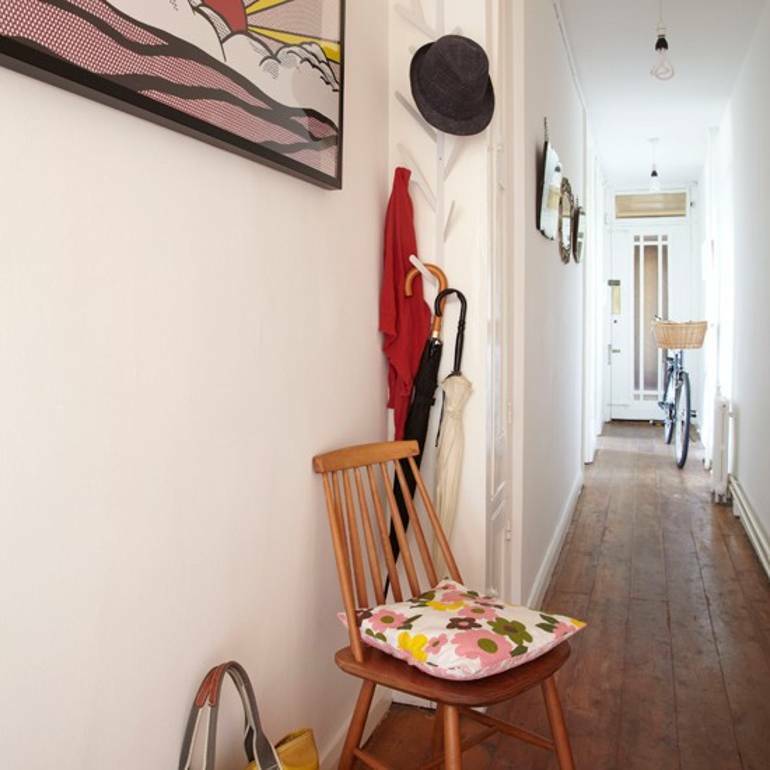 Particularly if you aren’t blessed with lots of space in your hallway, it’s a good idea to get creative with the room you do have. 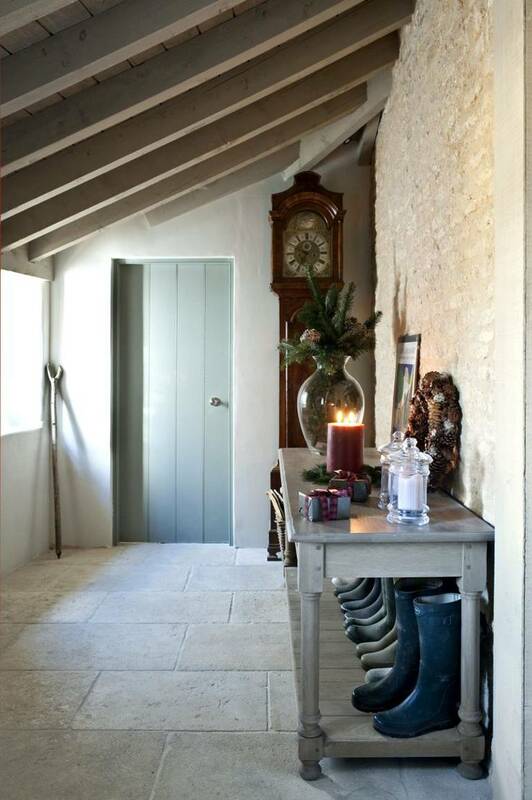 From utilising space under the stairs like this designer has, to installing shelves to use wall space rather than floor space, to hanging mirrors to make the area feel bigger, making the most of it is the best way to achieve its potential. 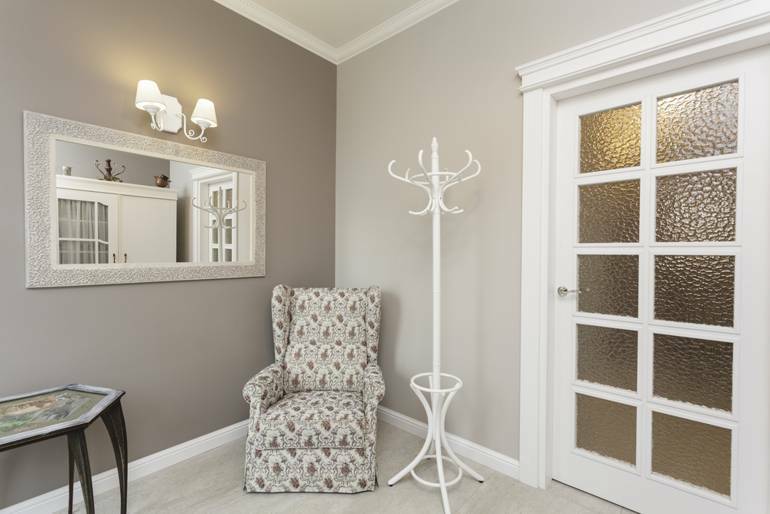 Likewise, keeping clutter to a minimum and just using a few key pieces of you and your family’s personality can be a great way to add interest to your hallway without effecting its purpose and inviting feel. If you cram it with stuff, it’s going to feel closed in and dull. 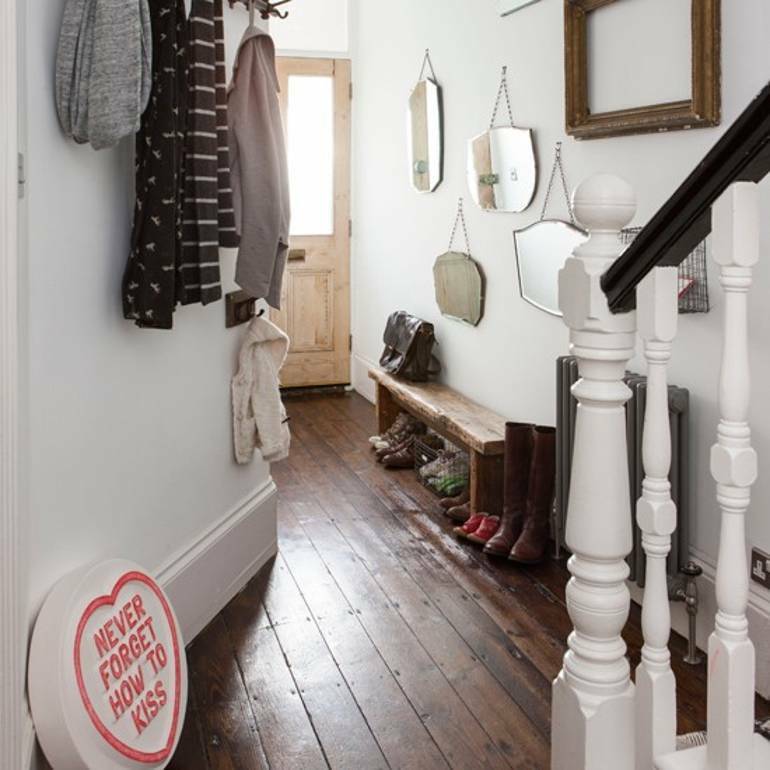 We’ve all been there where we’ve struggled to put shoes on whilst hopping on one foot, so eliminate this problem and add a nice decor item to your hallway by adding a seat to it. Go for something classic and vintage, or opt for something loud and fun – whatever it is that speaks to your tastes. As well as the way the hallway looks, it’s important to think about the other senses as well. Giving it a great scent with the help of things like candles, diffusers or plug-ins is the ideal way to welcome your guests and to give a great impression of your home from the very beginning. 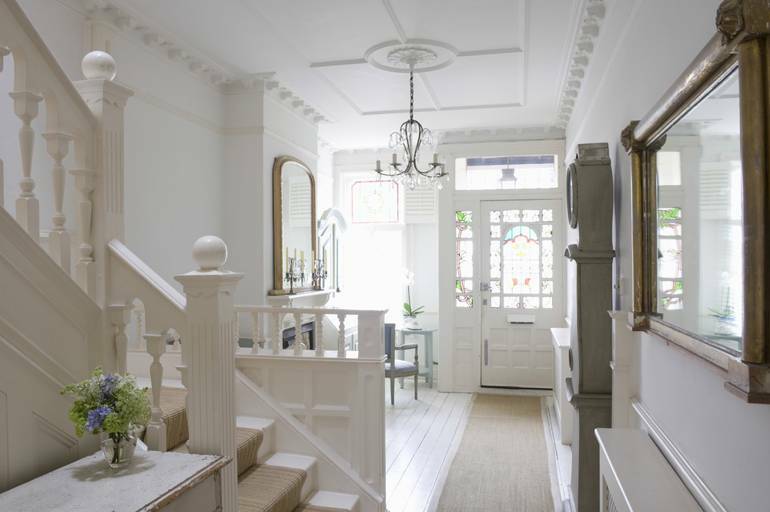 Dark hallway interior design schemes can work, but a foolproof way to help your home’s entrance feel inviting, fresh and full of family life is to keep things bright and airy. We love this example’s heavy use of white as it feels so clean and calming. Welcome your family and your guests into your home with inviting textures in the form of of things like rugs and other earthy tones (check out that beautiful wooden mirror!). This is another great way to display your family’s personality as you can go as loud and proud as you like with things like statement rugs, which are so on trend at the moment. 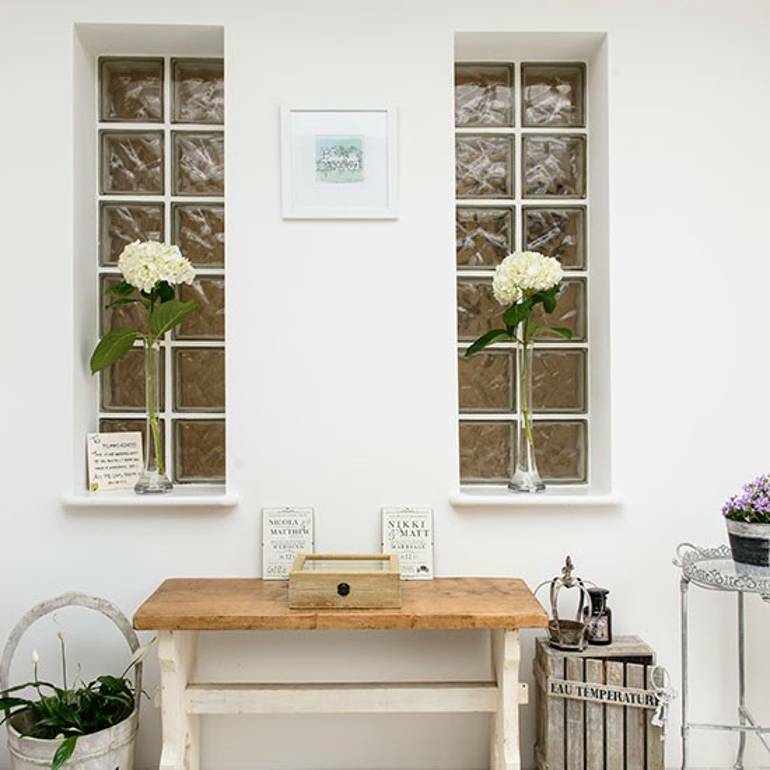 Using things like fresh flowers and plants in your hallway is a lovely way to give the space a fresh and revitalising feel (as well of course as helping to improve the scent). Avoid going to OTT with these items though as you won’t want your guests to feel like they’ve stepped into a florist…not so great for allergies! Less can sometimes definitely be more when getting your personality across on your interiors, and this example proves that really well. Use a few key decor items that really appeal to you and your family, whether it’s things like pretty, ornate candle holders or bright pop art paintings. 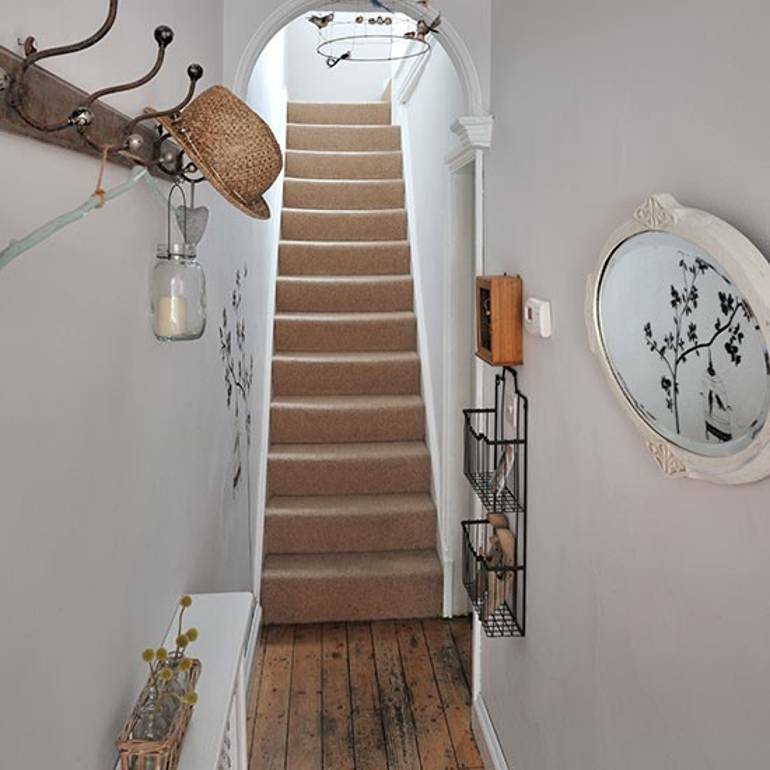 Don’t be afraid to add playful elements of your family home in your hallway, as this is a guaranteed way to make you and your guests smile as you enter. It’s a lovely way to make it feel like a true family home as soon as you walk in. If your little ones fancy themselves as artists, why not have them make a masterpiece for the hallway walls, for example? 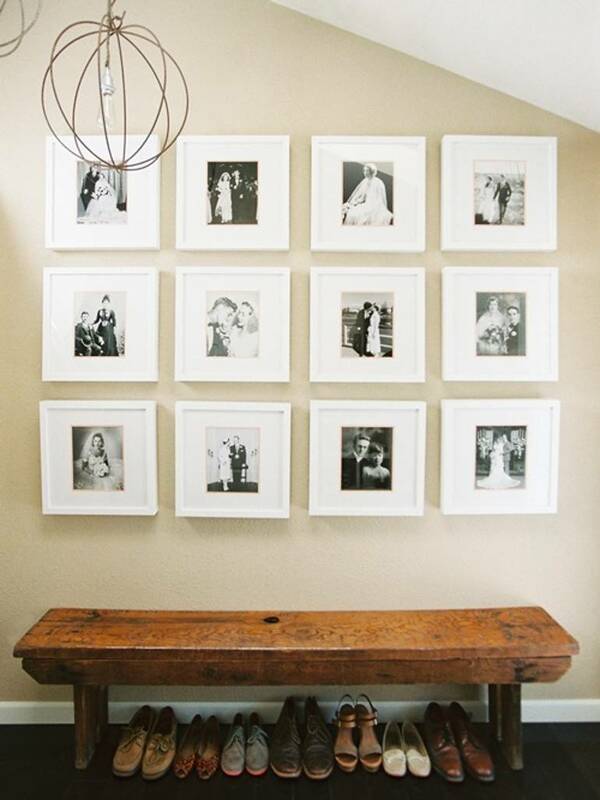 Show not only your home’s inhabitants in your hallway through photos and portraits, but also your family’s history! Using historical black and white photos of your past family members can be a really lovely touch, and the bonus is that they’ll be free, rather than having to fork out for pricey black and white pictures.